Oppo N1 mini has been officially launched in China. The new N-1 mini also comes with 13-megapixel swivel camera with LED flash. The camera is integrated on 1/3.2 Sony sensor with f/2.0 aperture. 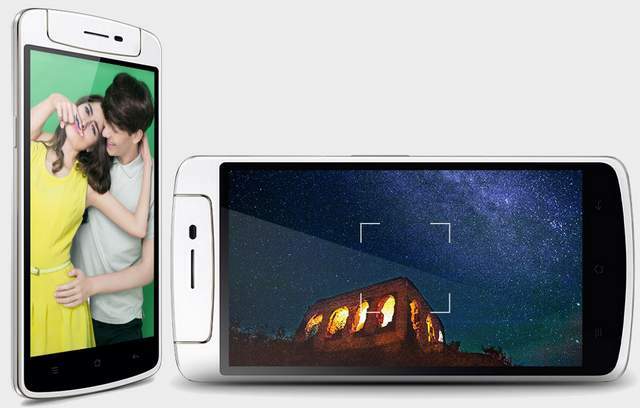 The camera is capable of capturing 24MP Image, the same enhanced feature that we seen on Find 7. Company has recently launched there flagships in India, from the time it is creating huge buzz. The Oppo N1 mini comes with a 5inch display, would have 270p HD resolution. The N2 mini weighs 150 grams and has 4G LTE connectivity. Company has not revealed full specifications and features of the phone yet. It runs on Colors OS 1.4 based on Android ROM. The phone houses a 2140 mAh battery. Other features are 3G, WiFi, Bluteooth, GPS and micro USB with OTG support. Camera : 13MP, rotatable up to 206 degrees. Price of the N-one mini Phone is not announced yet. It would go on sale on 10th of June in China. We hope it will soon make its way to the USA, India, UK and rest of the world.